Check out our brand new 2019 prospectus HERE. 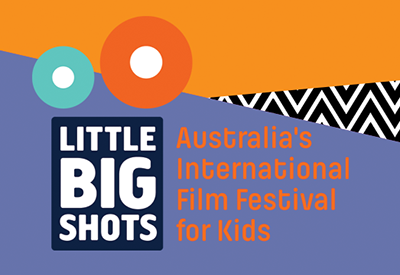 As Australia’s premiere children’s short film festival, and a niche local event, Little Big Shots represents a unique partnership opportunity and offers sponsors the chance to hold a stake in Australia’s fastest-growing creative venture for kids. Little Big Shots offers a fun, diverse and developmental experience that’s available to people of all ages, abilities, races and socio-economic standings. Nationally, Little Big Shots screens to ten of thousands of kids, parents, teachers and families each year. exposure via social media channels. LBS 2019 Festival Program Out Soon! Check out all the amazing fims from around the globe, made for kids and some by kids. Films, sessions and screening schedule will be released over the next few weeks. Stay tuned. Want to be first to know all the latest LBS news then sign up for our regular newsletter. Find our when our special fundraising screenings are on, where in Australia we're touring to next, and when our Film Submission forms open or close, be sure to sign up to our Newsletter here!